Pioneers in the industry, we offer fluid bed processor, fluidized bed dryer and pharmaceutical dryers from India. We are one of the prominent manufacturers, suppliers and exporters of Fluid Bed Dryer for Pharmaceutical Industry in the countrywide market. Our team of experienced engineers design and fabricate these products in accordance with the international quality standards, employing advanced machines and techniques. Furthermore, we utilize high-grade basic materials and components while manufacturing these products with precision. 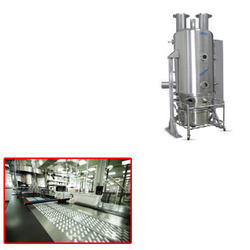 Looking for FLUID BED DRYER FOR PHARMA INDUSTRY ?